It was so interesting to see all of your design ideas. I was most intrigued by no. 2 where the inner block is the same color as the background. I also like the way the dark blue connects into a rectangle rather than reading as separate blocks. There are so many possibilities to explore! Thank you for your thoughts, Marla. The idea of negative space has always intimidated me! 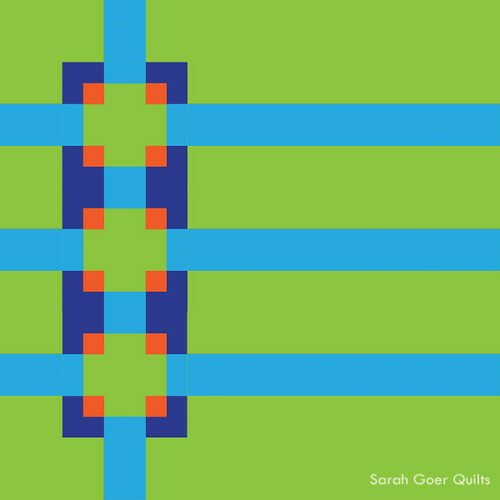 Your quilt (and the others I have seen in the hop) make me feel like I can take on negative space successfully and have fun doing it - thank you for that! Thank you, Anne. I'm so glad that this helps you see it as attainable. The book would be a fabulous resource that I think you'd go back to again and again. 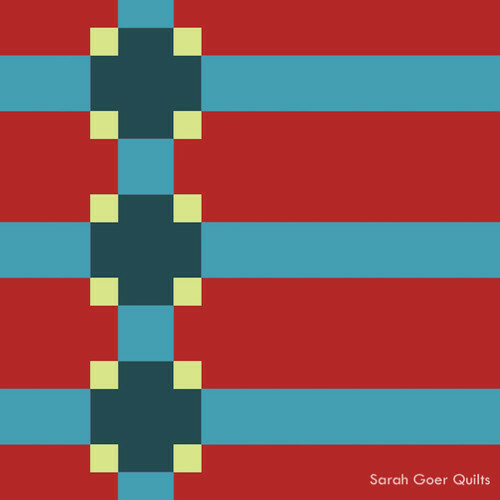 This is such an enjoyable blog hop, seeing all these possibilities with negative space. Thanks so much for your contribution to it! Thanks for visiting, Elizabeth! I'll enjoy working through other chapters in the book. so much inspiration! 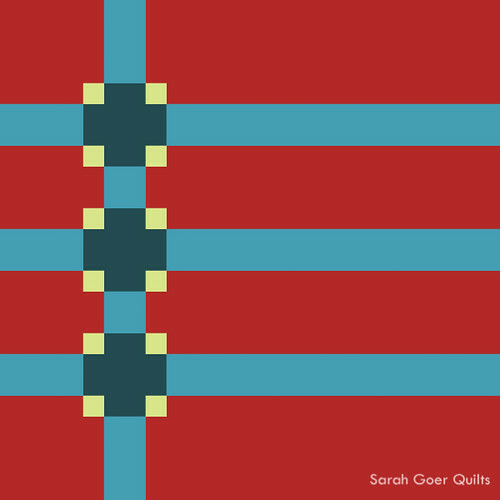 I am definitely not good at quilting in the "negative space" because I really just do straight-line quilting. So this book would be very informative, for sure. Thank you. 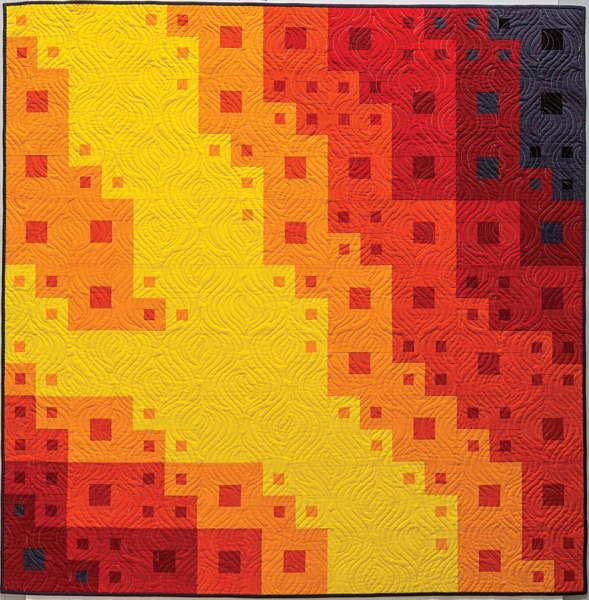 Sylvia's finished projects show a variety of options for quilting in the negative space. Thanks for visiting, Danette. Thank you Sarah for showing us your thought / design process! Buckles is my favourite! Can't wait to see which one you make! Thank you, Gail. Sylvia did a great job with her Buckles quilt. I love how I can easily see how this could apply to so many different starting blocks. I like 03 best I think. I loved 03 until I realized that I didn't have enough of the teal. Sometimes I just have to make it work with what I have, but I may come back to that palette in the future. Thanks for visiting, Sharon! i really love this book - the designs look like something I could accomplish and the use of negative space is truly dramatic! Number 7 and number 1 are my favs - maybe because they are such opposites but certainly gives me lots of ideas for my own designs! Thanks for sharing! I'm glad you enjoyed the post, Allison. The book has so much good stuff in it! This looks like an amazing book. I love all your layouts -- too hard to choose ☺ Have fun. Thank you, Anja! There are at least three that I'd like to make. 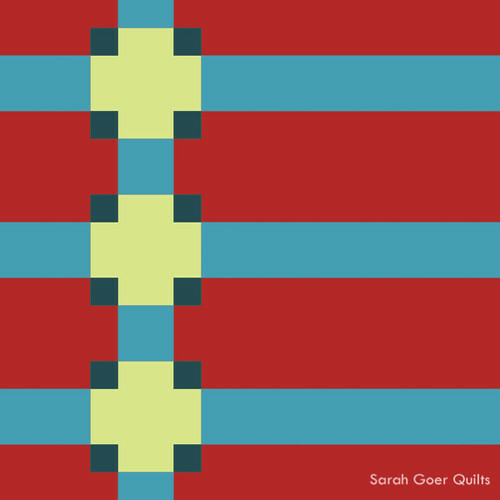 I love the quilting on your Buckles quilt. The colors you have chosen are perfect. 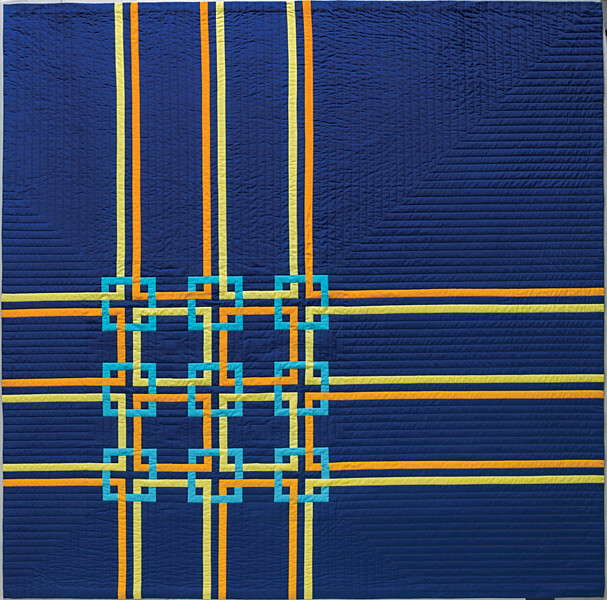 Sylvia's Buckles quilt is a great example of her system and the color palette she used works well. Thanks for visiting, Christi. I liked option #1 the best. I like how you have shown so many options for a quilt layout. It seems like this book provides great instruction and inspiration! I have been enjoying this blog hop and am intrigued by the design concepts Sylvia shares. It's been real fun to see what everyone created. Thanks for visiting, Karen. 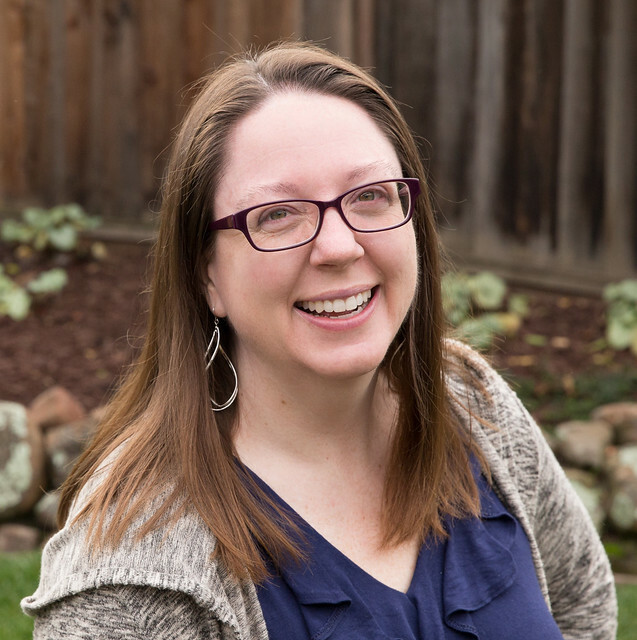 It's been so much fun and quite enlightening following along with this book hop! I need to explore negative space in my own designs! You make it hard to pick just one, so I'm going with 2 or 3! Can't wait to see which one you do make! Thanks for sharing your process on working through the how to of using Sylvia's techniques for negative space. 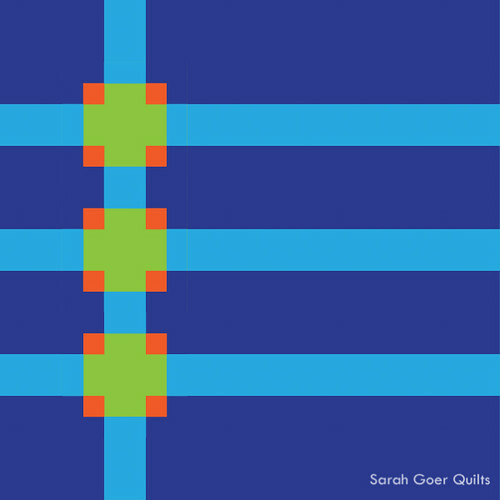 I like number 6 on your set of quilts. Thank you for visiting, Laura. 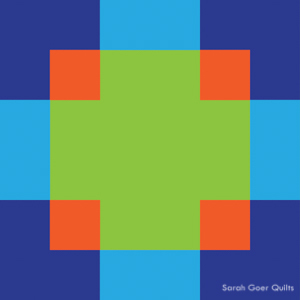 I have enjoyed seeing all the negative space quilts. 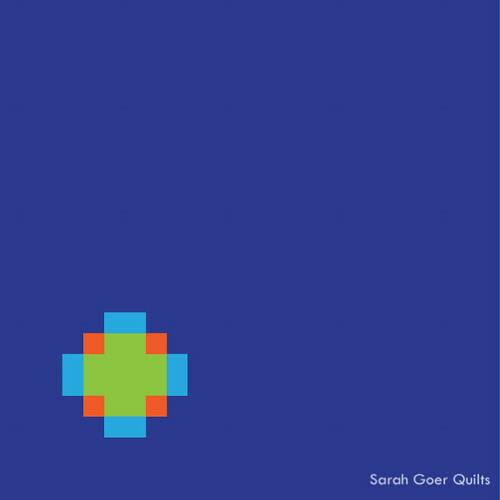 I haven’t made any modern quilts yet but this hop was very inspiring. Thank you for visiting, Kathy. Is there a particular post/style that intrigues you the most? I liked #1 and #6, I think the colors of the first appealed to me and the design of #6. Thank you for sharing your design process. This looks like an interesting book. I haven't made anything using negative space like this. Maybe it is time to give it a try. Thank you for the giveaway opportunity. The book is a fabulous resource. Thanks for visiting, Deborah. I like the simplicity of the 07 or maybe 01, which probably means it is my favourite color sheme! 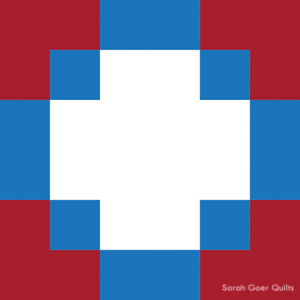 Negative space frightens me when it comes to quilting... I am never sure how to make it interesting. 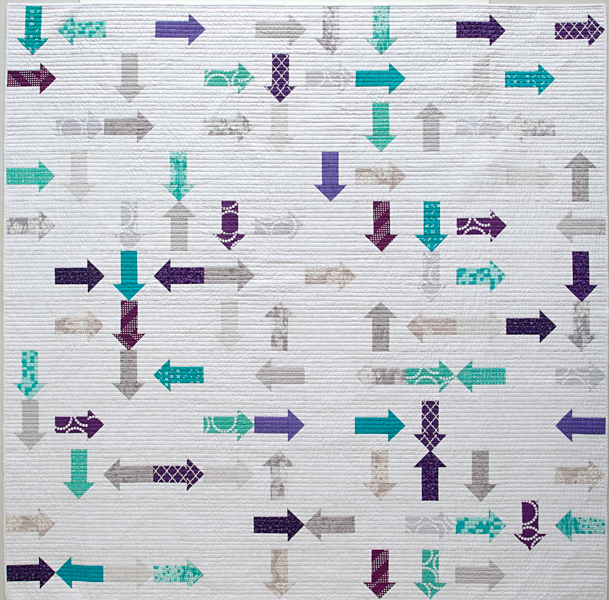 I like your #1 version and I am loving the look of modern quilts. I have been trying Straight line quilting and am amazed how stunning it looks. Thank you, Donna. 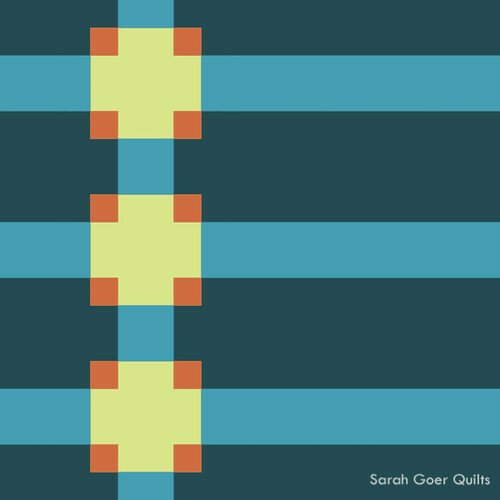 I plan to combine some walking foot quilting with free motion on this one. I am surprised that I like #2 the best. I didn't realize why until I read someone's comment about the the inner part of the block matching the background. The lime green is surprisingly effective also. Oh, if I were only brave enough to give it a try! The book has a lot of great inspiration. Be brave! Thanks for visiting, Deborah.